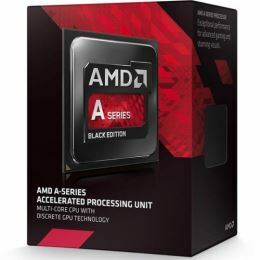 AMD's latest APU and GPU technologies are designed to enable developers and delight tech enthusiasts, hard-core gamers and mainstream consumers alike. Unlock your system’s full potential with revolutionary HSA architecture – the new standard in processor design – enabling the CPU and GPU to work in perfect harmony and blaze through compute tasks in Ultra HD resolution. Take processing performance and pure power efficiency to new extremes with hUMA by enabling GPU’s full access to the entire system memory and the CPU and GPU to seamlessly share data.